Jypyä Pop (Turku, Finland) on 24 June 2018 in Art & Design and Portfolio. Excellent and very passionate image. Wow that pretty roses. Your photo is graphic and makes the size of these flowers that climb on the wall. Magnifique décoration avec ces rosiers. Lovely roses and a beautiful capture ! This is so beautiful, I love roses... wonderfully done! Vraiment merveilleux. De toute beauté. Yeah, I agree with Mhelene. Very beautiful composition. IMAGINATIVE creation, stay passionate with flowers! What a gorgeous display of these vibrant roses! 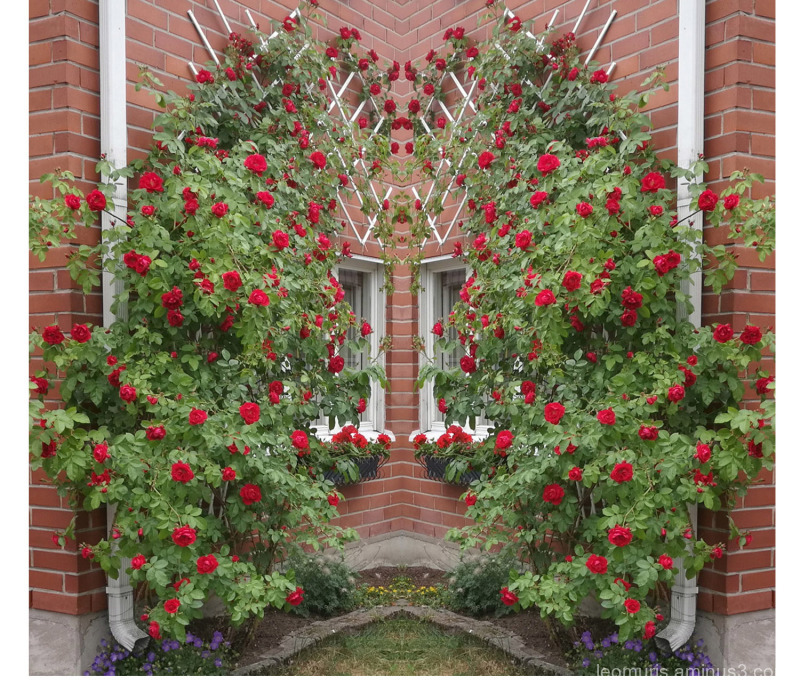 An incredible floral display of these roses against the facade!! A wonderful explosion of roses. An excellent image. I think you trick us with a double image. Nice work. Une maison bien fleurie ! Superbe !